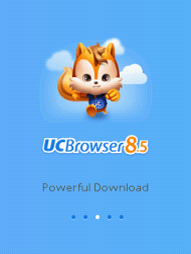 Here is the new UC Browser 8.5 edition with cloud storage support hacked for free Internet on Airtel with 3G speed. 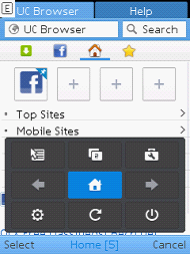 UC Browser 8.5 comes with a lot of features than previous version 8.4. 8.5 comes with improved speed, performance and lots of changes in user interface. It comes with a wide support on touch enabled phones with new Virtual keyboard, Menus and much more. Some of the new features are Brightness adjust option and Sharing photos to Facebook option. They also added some more servers to increase the speed and performance by reducing delay of sending GET request. This version also has Download support for all format including mp3 and EXE. Previous versions had problems in downloading files of certain format. This version is a beta release for test. So, sometimes it may contain bugs. For Airtel hacked UC 8.5, read the instructions below. New and Improved User Interface of the Home screen and Menu. Highly Optimized for full touch screen phones. Optimized Switch and Multi tab options. High improvement in Input methods. Optimized Key board for Touch screen phones. Brightness Adjusting feature came Back. 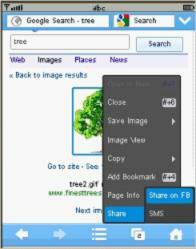 Supported Sharing of Images to FaceBook. Then nothing to worry. Just install it and open it. Note: Recommended to use at low balance Even though it is tested and found to be working at higher balance, It is recommended to use at low balance for avoiding balance loss. haha I really don't like this one because it doesn't support my screen size this is my resolution 240x320 .. my phone is samsung corby/gt-s3653w the other one is works on my phone tha' was the uc 8.4 cloud handler version ..
can you give me that full screen on my phone? please add gprs tricks for aircel. and also add .jad files with .jar files. hey dude . this is free ? Note the text on the post which marked red. I've mentioned that it is better to check at low balance at the time of testing otherwise you'll lost money. Don't blame me if you've done anything stupid. I've clearly mentioned about the balance deduction in the post.